Edely Wallace, Yoga master and Lymph therapist (Foldi Clinic/Germany & Vodder School/Austria) has been researching the Lymphatic System for over 20 years. She is now releasing her findings of many years of intensive study to help people to restore and maintain health. This is the first book of a trilogy about Yoga and the Lymphatic System. The Lymphatic System is a transport system that permeates and affects all other systems and functions of the body. When flowing properly, the Lymphatic System represents the first stage for health. When this system is sluggish, however, diseases appear. Though, neglected in the past for its elusive characteristics, the Lymphatic System holds the key to sound health, clear mind and spiritual awareness. To keep the Lymphatic System flowing properly, Edely combines her vast knowledge of Yoga with the most recent scientific discoveries about the Lymphatic System, creating a new approach for anybody to reach health in a natural effective method – Lymphatic Yoga®. Edely L. Wallace, E- 500 RYT, CDT, MLD, creator of Lymphatic Yoga® method, founder and Executive Director of Yogamatrix is a master Yoga Instructor with over three decades of teaching experience and training in Belgium, Brazil, and the United States. I have just finished 6 books on Lymphedema and by far the is the best book. The author put everything in term that are so easy to understand and explain to other people. Yes it is a book about yoga postures, but it explains Lymphedema better than anything I have read. I highly recommend this book to anyone with Lymphedema or anyone wanting to know more about the lymphatic system. I looked at the yoga positions and they are not hard to do. I have a bad back also but these yoga positions are doable. And it makes much sense. This woman has really researched lymphedema. I’m happy with the book and all its knowledge that it brings to me. Anyone suffering from lymphedema should buy this book. Phenomenal book! So informative. I reference it regularly…! Phenomenal book! So informative. I reference it regularly to teach to cancer patients. It is a topic that I had known nothing about. WOW! This book is an excellent source of information on lymphedema and also your attitude towards it. The yoga to go with it will be most helpful when I am able to start it. 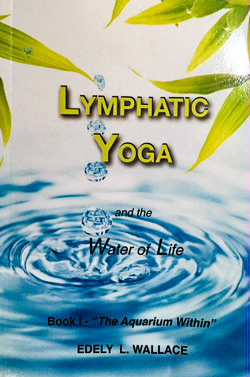 The second Lymphatic Yoga® book will be soon available!